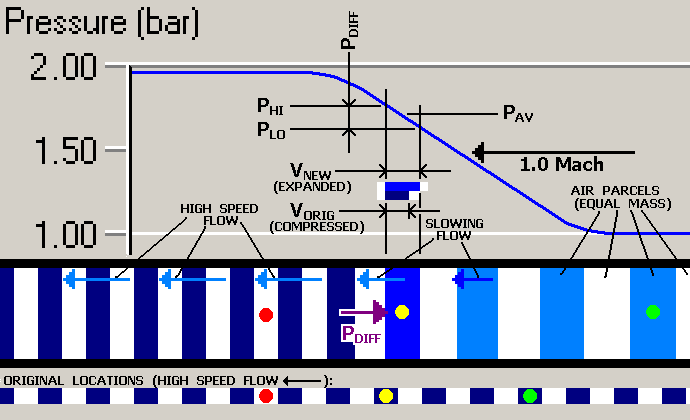 It is not enough to know that the energy in a valveless pulsejet is communicated throughout the engine in the form of a wave; for a jet to be a jet, it has to get some mass moving, and fast! 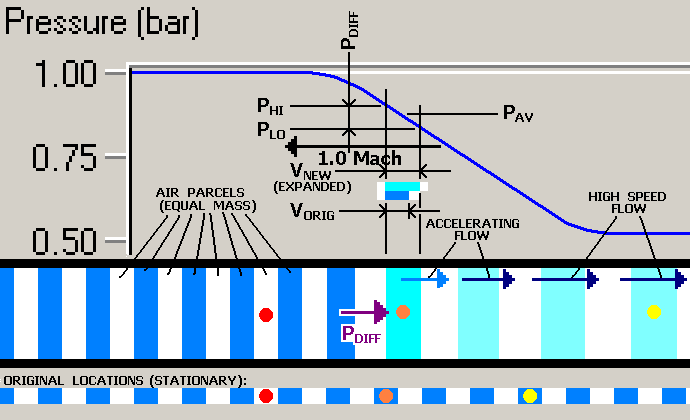 So, how do we get from acoustic wave motion to the actual mass motion needed for propulsion? A beginning pulsejet hobbyist might say something like, "Well, the air mass is pushed through the pipe by the pressure wave." Of course, there has to be a sense in which this is true enough, but it sounds as if he's saying that the wave is acting on the air as a mechanical piston would. This cannot be an adequate explanation, because we already know that the wave in fact moves through the air in the engine! The question naturally arises, if the wave moves freely through the air, how can it push it around? 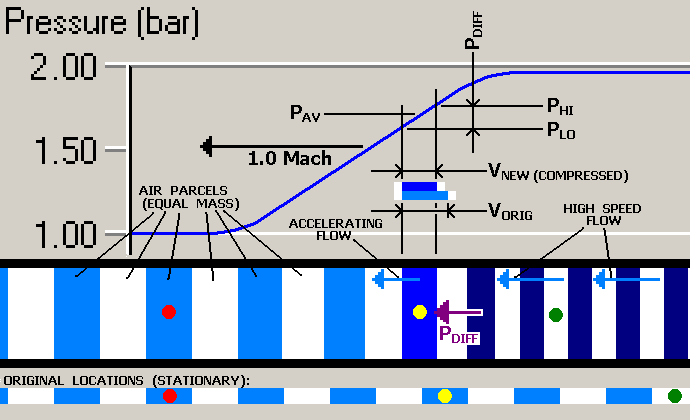 This paper is an attempt to show the exact mechanism by which the pressure wave causes (or alters) the motion of the air mass within the device, as well as altering air density and temperature, purely as a result of its passage through the air mass. Now we can look at things in a more conventional way, seeing the wave front as moving at Mach 1 speed through something resembling an engine pipe. 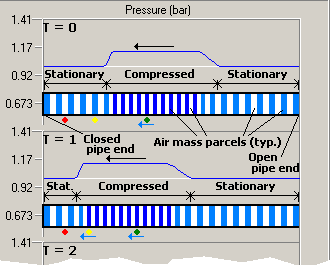 What we see here is a magnified view of exactly how the changing pressure actually stirs air mass into motion. Next Subtopic: ? ? ?